As per the Appleinsider, Film studios are submitting their films to Apple in HD+ format. That sounds interesting and this news definitely has pleased the Apple fans and customers. Well, you can watch the movies at the Apple in 720p. It may take around 2 to 3 months to expect this change as per the grapevine. 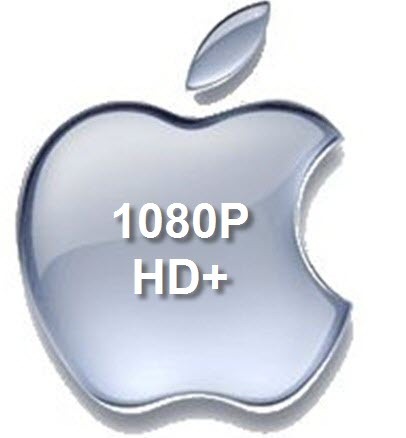 Many featured films have been submitted to Apple with documentation for an optional 1920x1080 resolution. One more thing that we have heard is that many movie studios have submitted titles to the Apple for fall releases that will also have an optional resolution of 1920x1080. If you are not done with that then here is an other rumor that we want to share and that is Apple may also offer an updated 1080p capable Apple TV this September. Well, we have also heard that Apple is capable of streaming 1080p videos. But the reason they didn’t focus much on it was that they were concerned with the users connection speed and it might take more time to buffer 1080p video. Well, Apple has kept these things in mind and they are going to offer downloads of 1080p content, so that if a user can’t have much time to wait for its buffering, user can download it. This feature is great and many users are going to like it. For now, let’s wait for this fall and see what Apple has for us.